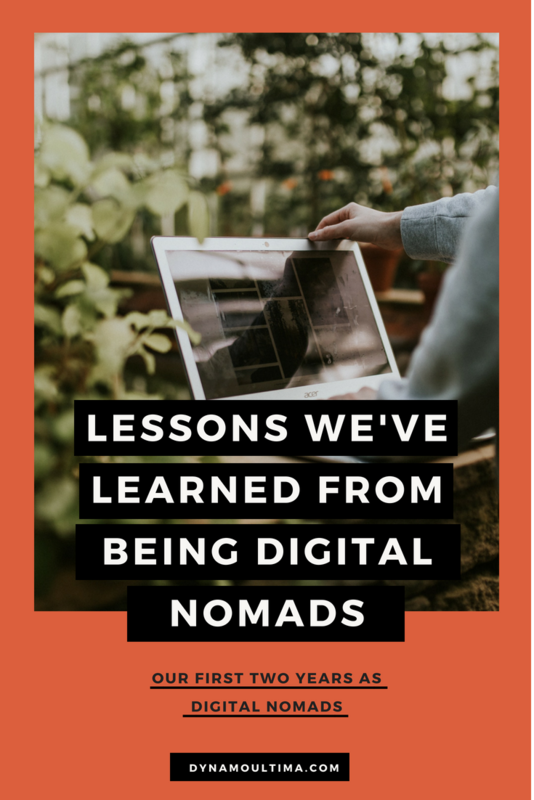 Lessons We've Learned From Our First 2 Years As Digital Nomads — Dynamo Ultima | Branding, websites, workshops & beyond. Even though we live a dream life, we need to have a way to support ourselves. We do this by running a business out of our van. All of the work we do can be done on the internet, remotely. Running a business requires a lot of hours and in fact, can often be more than your average 40 hour work week. If you want to learn more about what we do and how we make money on the road click here. But being able to work from wherever we want and pursue passions that allows us to fulfill our dreams makes all of the time and effort worth it! Along the way we’ve learned so many things and I wanted to share the top 5 lessons we learned (sometimes the hard way). I think these are super important for you to hear, especially if you’re thinking about quitting your job, living on the road, and starting a business of your own. There are going to be slow months - and you need to be prepared! We’ve experienced firsthand that there are slow months. In fact, we weren't prepared at all for how slow it would be. We found ourselves broke and living with our parents and families during Christmas or the summer months because many of our clients don’t hire during those times of the year. We also only had one income source, which was client work. When we didn’t have clients, we didn’t have money. This led us to fall into a vicious cycle of feast and famine. When we were broke, we felt desperate which definitely turned potential clients off when they were chatting with us. We weren’t being super pushy, but people can just pick up on things like that, ya know? Finding ways to prepare for those slow months — like having extra money in your savings account — is going to make all the difference. We’ve now learned to store extra money away to keep our cash flow more consistent during holidays or summer. Diversifying your income will give you more freedom. This is the number one lesson we’ve learned: diversifying our income sources! This is really important when traveling and working remotely, especially because there will be times that you are out of service for a few days. Coming back to service and realizing your passive income sources have made you hundreds of dollars is a really great feeling! Instead of only relying on clients to be your main source of income, think of ways you can earn more. Passive income isn’t all that passive when you first create it, but it’s definitely something you can leave up and running while you are out doing things. You’ll earn money without having to wait for clients to pay you. 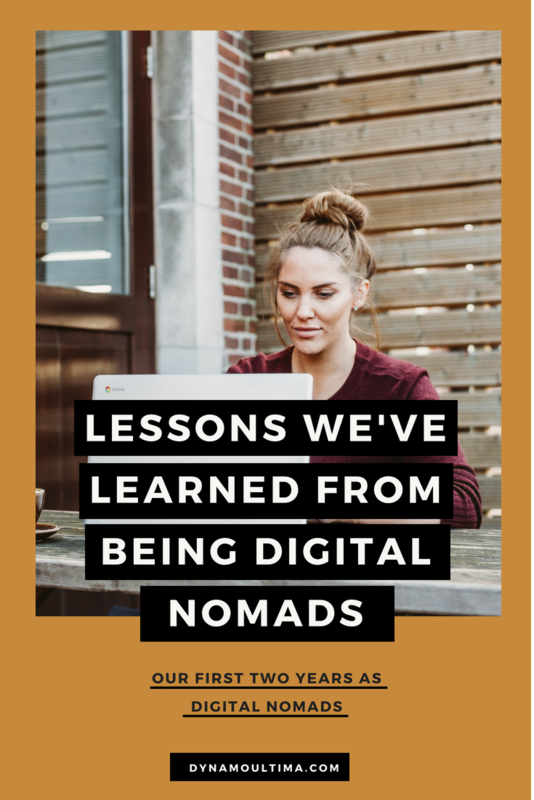 Being offline and not having to be chained to your computer or phone all the time to run your business is the #1 goal for any digital nomad. 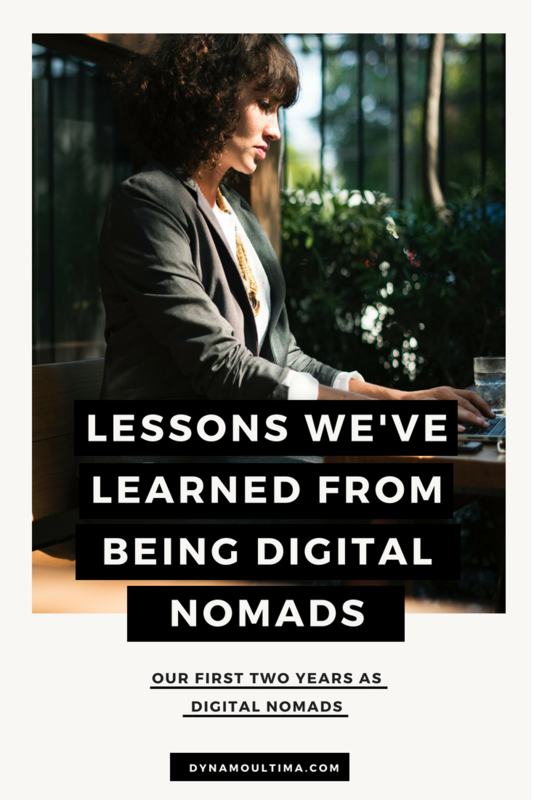 We do this because we’d rather be out adventuring than emailing. Social media breaks are extremely necessary. Wasting your time instead of doing things you love. This app tracks your screen time. It tracks how many times you’ve picked up your phone and how many hours you’ve been on your phone. It constantly sends you reminders that you’ve been on your phone for X amount of hours and you can set daily phone usage limits. Once you reach your limit, the app will force you off your phone by excessively sending you notifications and alarms. I bought an apple watch so I don’t have to have my phone attached to me all the time. You think being connected to your phone on your wrist 24/7 would make you spend more time on your phone, but i’ve found the exact opposite. Because I don’t need to have my phone on me all the time, I am able to just leave without bringing it with me. I am able to be more present in the moment and spend less time checking social media apps. I unfollowed people that I compared myself to. I occasionally unfollow accounts on Instagram and YouTube that I find myself comparing myself to more than I feel is healthy. This is a last resort when I am feeling particularly depressed about social media in general. If something is making you feel a certain way, it’s good to either think about the reasons why it’s making you feel bad, or just eliminate the problem until you can be in a better place. Hiring someone to help you with your business is worth it. This last year I hired a copywriter and recently, I hired the same person to be my Virtual Assistant. It was literally the best decision I could have ever made! I am not great at grammar, although I love writing and feel passionate about it. I tend to just spill out my “words and feels” without really thinking too much about them. This is where my VA comes in handy. I can write blog posts and then she edits them, schedules them to post, and creates my graphics too! This saves me a ton of time every week that I can spend doing other things that will grow my business. Those smaller tasks can just eat up so much of your time in your business. Investing in yourself is the best thing you can do for your business. Sure, buying a new camera or a fancy printer is a great investment for your business… but the #1 asset you have is YOU. The best thing you can do for your business is invest in things that will help with your personal growth and development. Whether that be group coaching, e-courses, or signing up for a yoga class, make sure you are always investing in yourself. Personally, I’ve invested thousands of dollars in coaching, e-courses, and audiobooks that have helped me through various stages of my journey. It’s always worth it! I even make sure to invest in things that make me happy, for instance: office supplies. I love pens and notebooks and I just feel so much more motivated and excited when I have some new pretty pens to use! Don’t be afraid to invest in yourself to help your business grow. Your personal development and willingness to learn will help push you forward when it comes to achieving your goals.